Netflix, Netflix, everyone is talking about Netflix. Your best friend is raving on about how “13 Reasons Why” is her new addiction and your partner is glued to his or her iPad every night watching “How I Met Your Mother” reruns. So, what exactly is Netflix? Netflix is a provider of TV shows and movies that you can watch exclusively online. Founded in California in 1997, it was originally a mail order DVD rental service (they still provide this service in the US). In the past few years, as people increasingly choose to watch movies and TV shows online, Netflix has propelled itself into THE powerhouse of online entertainment. Netflix launched in Australia early April 2015 and has been a complete success, growing its collection of TV shows and movies on the daily. 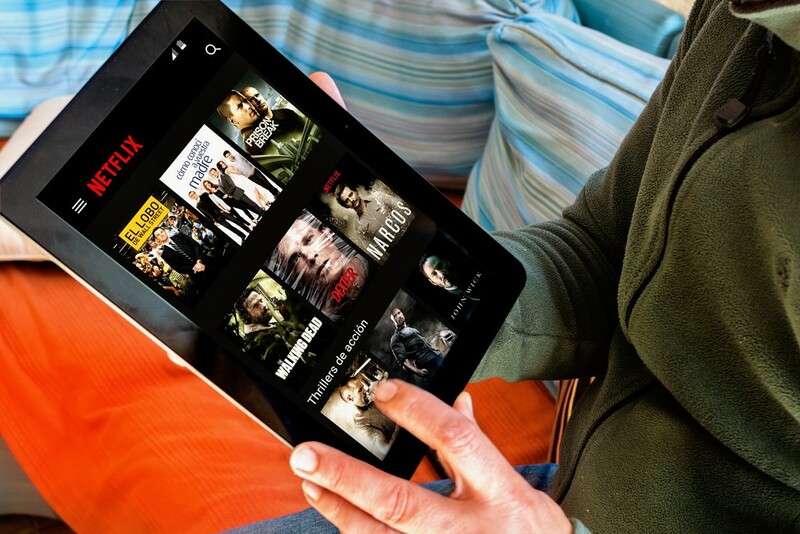 With so much to watch, you may wonder exactly how much data Netflix is draining out of your mobile or broadband plan. Below we will touch on how much data is used, along with how you can control this data use by changing various settings on your Netflix application, so read on to find out more. First of all, there are 3 different kinds of Netflix subscriptions that you can purchase. These options are a Basic subscription ($8.00 per month), a Standard subscription ($11.99 per month) or their Premium subscription ($14.99 per month). When it comes to data usage, you will bee looking at 1GB/hour for Standard Definition, 3GB/hour for High Definition and 7GB/hour for Ultra High Def. In other words, should you be subscribed to Ultra HD on Netflix, you will be looking at a usage of 14 GB of data if you stream a 2 hour movie. Take note that downloading titles to your iOS or Android device will also consume a similar amount of bandwidth as streaming does. Adjusting the data usage settings on your account is the first and the easiest way that you can reduce the amount of bandwidth Netflix uses when you are streaming shows online. There are four data usage settings that you can choose from, and below are estimates on how much data will be used per stream. If you would like to select a setting that will work best for your personal Internet plan, you can navigate to the Your Account page on Netflix and select Playback settings in your My Profile section. Do take note that it can take up to 8 hours for any changes made to take effect and that restricting data usage may possibly affect your video streaming quality. Another key note to keep in mind is that data usage settings or changes will only apply to the Netflix profile you set them from, allowing you to have different data usage settings for each profile. If you are concerned about the total amount of data that Netflix uses, with all profiles combined, make sure to change the settings on all profiles or get your family members to do so for their profiles. With a little know-how and a tweak here and there, you and your family will be enjoying hours and hours of entertainment without having to worry about draining your monthly data plan. Happy Watching!